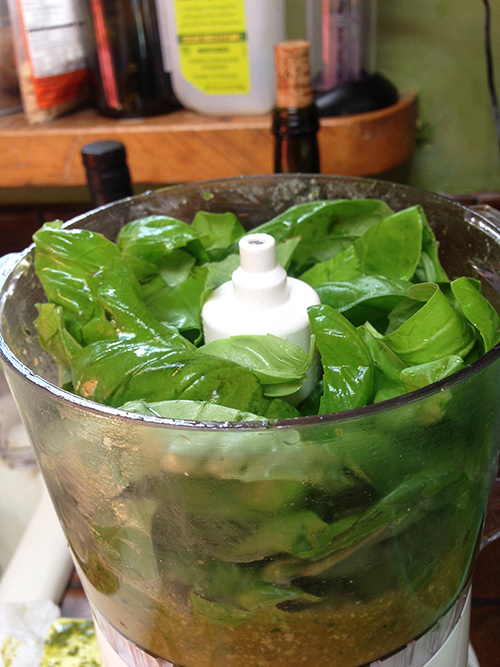 This entry was posted in basil pesto, basil pesto, basil pesto, general, HERBS, PRESERVING FOODS, RECIPES and tagged basil, basil pesto, fresh pesto, pesto. 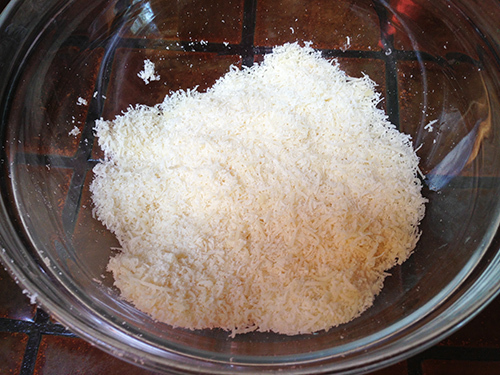 Never thought to use sea salt, but I’ll keep that in mind for next time I make it. 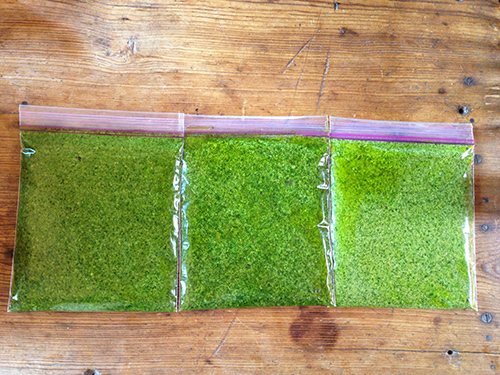 Last year, I learned to freeze my pesto in ice cube trays, then store in a freezer bag. 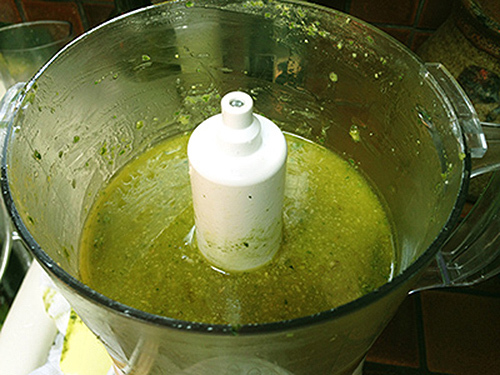 Each cube came to about 1 tablespoon… just right for a lot of my recipes. 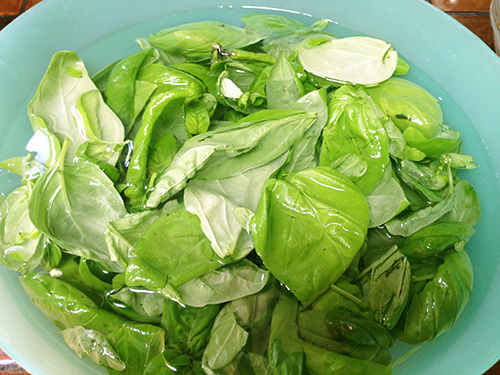 Thanks for the tip about soaking the leaves to freshen them up – great ideas!